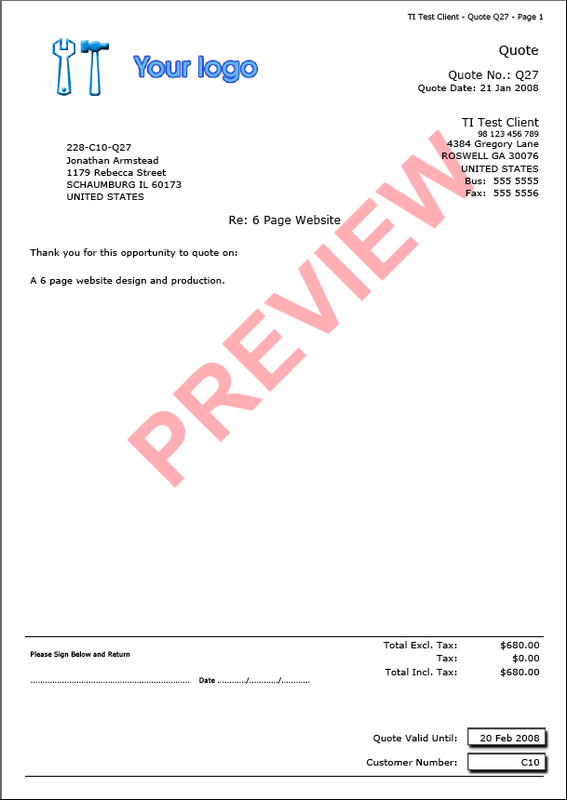 The following are examples of invoices and quotes that can be produced from Trade invoice. 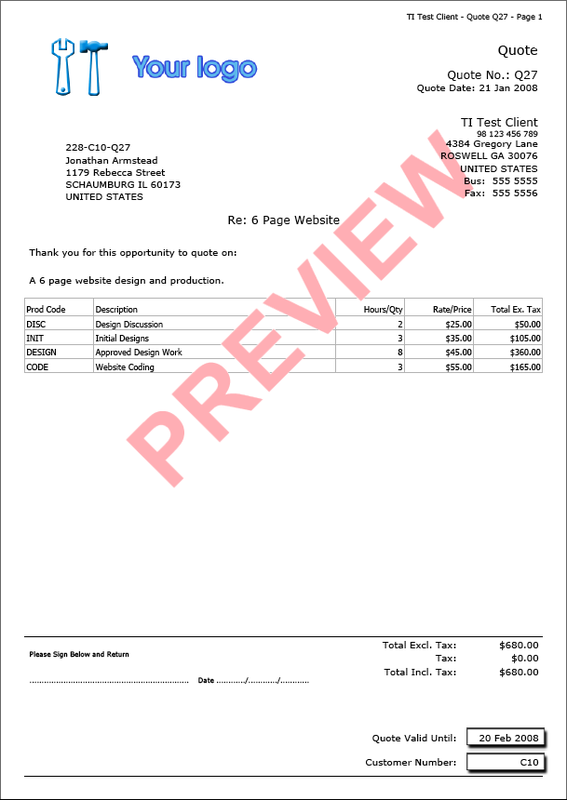 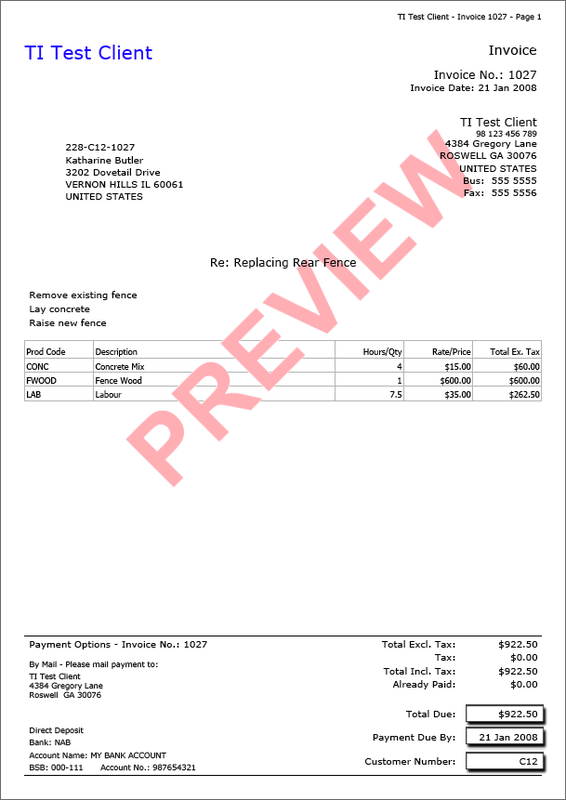 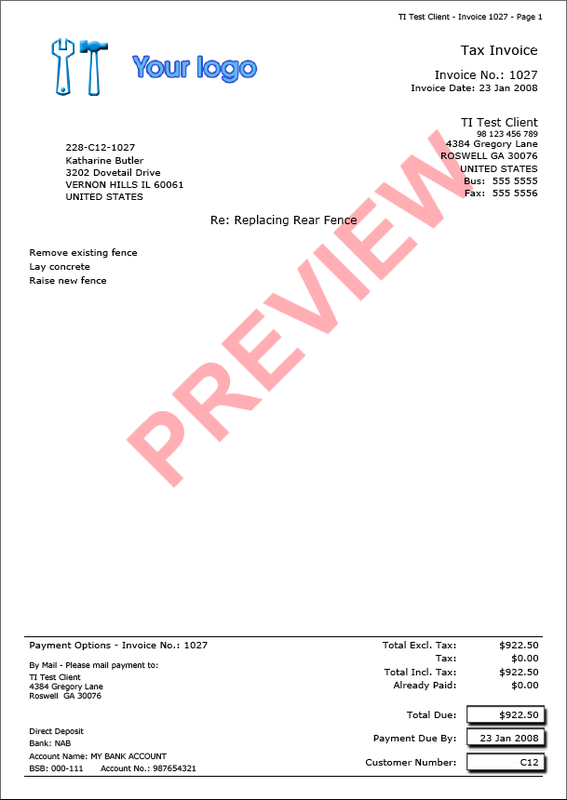 The word PREVIEW does not appear on printed or emailed invoices and quotes. 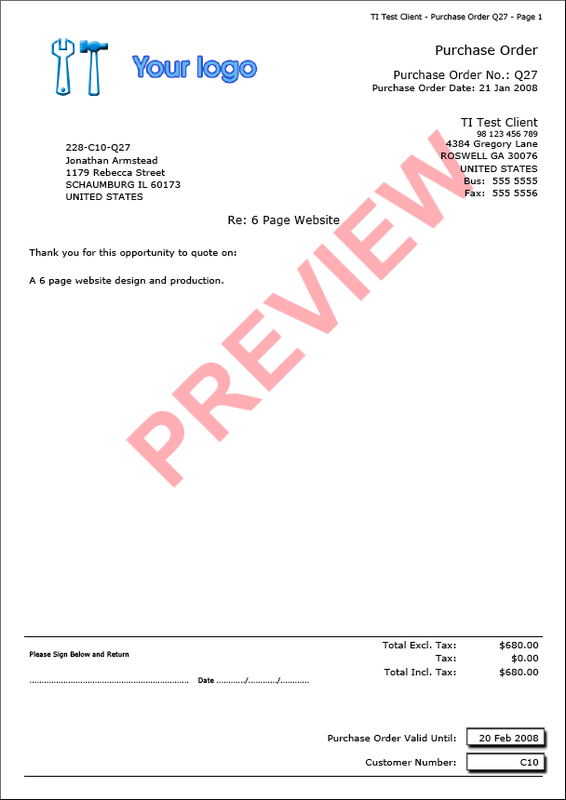 You can either upload your own logo or have your business name in plain text.